To say Vacaville High School’s football team is prepared for the Monticello Empire League season is an understatement. On the surface, it may not look that way. The Bulldogs dropped to 2-3 overall after losing Friday night’s road game against Pittsburg by a score of 35-13 in the final contest of the nonleague schedule. 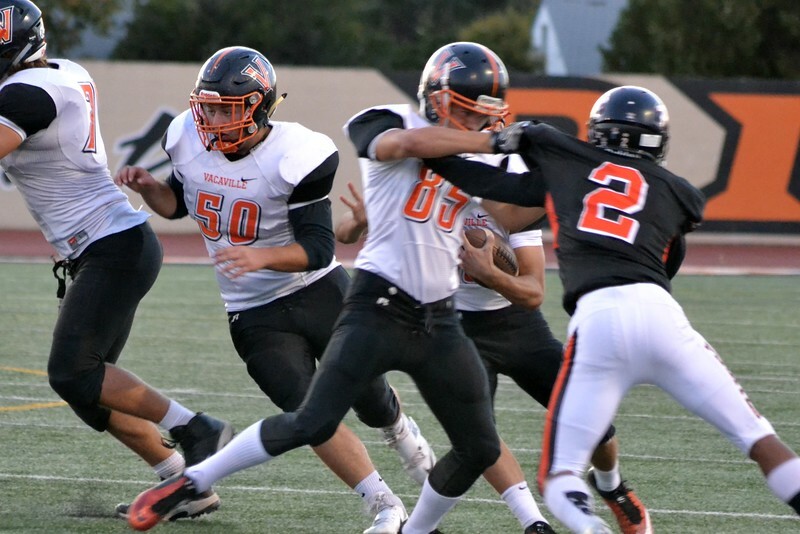 But Vacaville heads into next week’s bye with more confidence than any of its MEL rivals. Over the course of the season’s first five games, the Bulldogs proved to everybody, including themselves, they can hang with the top teams in Northern California.